After months of filming on the Montgomery Canal, Canal and River Trust are delighted to release “Life on the Monty”, a short film that celebrates the heritage, wildlife and people who make this beautiful canal so special. The Montgomery Canal still needs restoration, this water is only from the rain. The film also includes archive footage of the original restoration from 1969, to celebrate the role of volunteers in its resurrection, and a chance to see The Prince of Wales re-opening the canal at Welshpool. Sylvia Edwards, Montgomery Canal Community Development Officer, says: “The making of the film brought together various generations who wanted to tell the wider world how special this canal is: its unique environment, the amazing work done by past and current volunteers, the fun that it provides to young people and their families, and how everyone can enjoy its beautiful and peaceful surroundings. Life on the Monty was funded by the Heritage Lottery Fund as part of the restoration of the Montgomery canal in Shropshire. 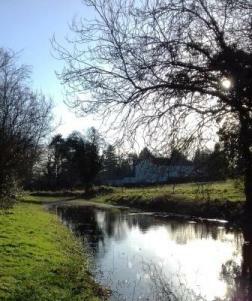 If you would like to support the wider restoration effort of the Montgomery canal, go to http://restorethemontgomerycanal.uk.